These are the three most disempowering words in the English language! When my clients respond with these words, without fail, I will challenge them and suggest that they actually do know and the only reason they are saying they don’t is so that they don’t have to do anything. Their response allows them to hang out in a nebulous cloud of uncertainty. But the truth is, “I don’t know” is nothing more than a smokescreen that allows people to stay stuck and not move forward. It gives them an excuse to pretend they don’t know what to do or what they truly want. It is a way of keeping them safe in their comfort zone. I believe the reason we do this is because in reality, we humans are amazing beings! Deep down we actually know that we are capable of accomplishing whatever we set our minds to. And I think we are afraid of that. Once we declare what we want, we almost always achieve it! I have seen this proven over and over again for the past 15 years by my clients. The trick, of course, is knowing what we want. Once we identify what we want and declare our goals, we begin to move toward them and achieve success. It’s just who we are and how we are built. And it is AWESOME!! So stop pretending that you don’t know what you want in your life or business. If you don’t know, or you pretend not to know, that opens the door for one of 2 things to happen, neither of which you will be happy with. You will stay stuck and your frustration will grow. Someone else will define for you what you want. What will make you happy/smile? If you knew you or your team could not fail, what would you do? Believe it or not, it is that simple. If you don’t run your life, someone else will. 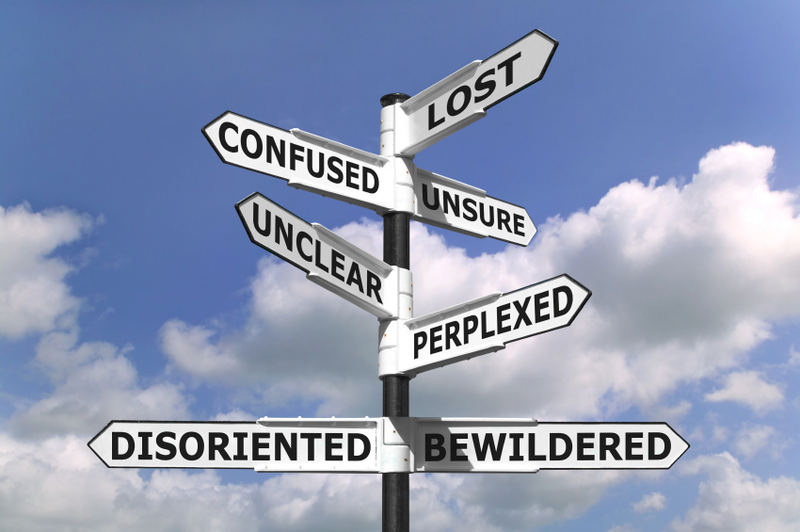 Pretending you don’t know what you want, or not taking the time to find out, is a surefire recipe for frustration in your life. There are enough obstacles in life that will inhibit you from having what you desire. No need for you to be one of those obstacles. The good news is that if you find yourself to be an obstacle, it is the one you have the greatest control over removing from your path to success. I’m going to take a wild guess that physics was not your favorite class in high school or college. However, if you want to shift your life or business into high gear, then you absolutely, positively must understand at least one important Law of Physics. There are two important concepts found in this law that affect your life and business. If you are unaware of them, they are most likely what hold you back from success. Inertia is the word most often used to describe the first part of this law – an object at rest tends to stay at rest. Do you feel stuck? Are you or your business going nowhere? If so, you are experiencing inertia and must shake yourself from the inaction. To break free of inertia and begin creating momentum in your life follow these 3 simple steps. Momentum applies to the second part of the law – an object in motion tends to stay in motion. Momentum is like a superpower when you possess it. And once you have it, you seem unstoppable and achieve goals and milestones rather effortlessly. It is important to note that momentum is created the INSTANT you break free from inertia, and it will continue as long as you steer clear of friction in your life. Equally important is realizing that the hardest part of creating momentum is taking that first step or action. If you are challenged by creating momentum in some area of your life or business, consider this simple process. Don’t worry about the ultimate goal, just worry about the next step. Repeat Step 1 two more times. If you can master this one Law of Physics, you will undoubtedly find your future filled with more success and satisfaction. It’s not always easy to break free of inertia and create momentum. That is the beauty of working with a coach. They help you get unstuck and move you toward your goals. Often, when my clients are stuck, I mean really stuck, I advise them to take action. Any action . . . even if it isn’t aligned with their goal. Sometimes it doesn’t matter what they do as long as they do something and break the inertia. Once that is done, we can correct course, but it is impossible to correct the course of a ship that is dead in the water. To see the true brilliance of Sir Isaac Newton, the father of physics, check out the video below and see the discovery that has helped millions of children across the globe achieve their class-trip dreams. 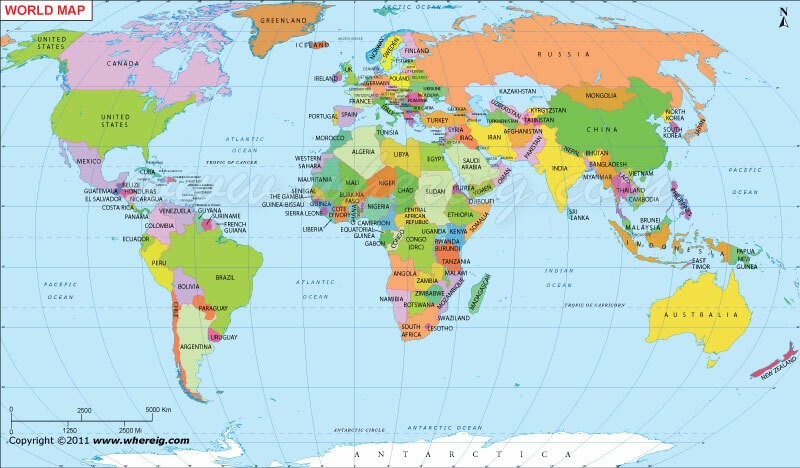 If I asked you to find the United States on the map below, you would most likely be able to do that. Similarly, if I asked you to find India, you would succeed as well. We all grew up staring at this map on the wall while our teacher stood in front of the classroom imparting knowledge. 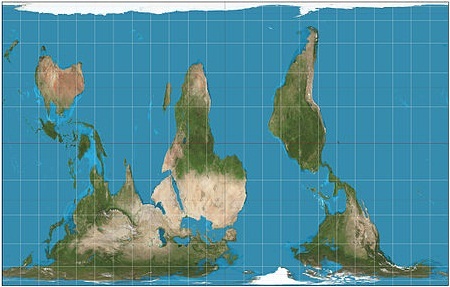 The map is part of our ingrained belief about how the world looks. But what if I told you it was all wrong? What if I told you that the world actually looks like this? Surprising, right? In fact, I bet some of you would say that this second map is just plain wrong. And perhaps, like myself, even after seeing this map and reading this newsletter, you will still think and relate to the world according to the first map. It’s as if the first map is part of our DNA. We all grew up thinking Greenland is as large as Africa, when in fact Africa is 14 times larger. We think Europe and South America are roughly the same size, when in fact South America is 60% larger. We think Alaska is much larger than Mexico, when in fact Mexico is larger by 100,000 square miles. Why is this important? Because it is a beautiful demonstration of the power of beliefs. We interact with the world based on our beliefs – what we think and believe about ourselves, what we think and believe about others, what we think and believe about our life. These beliefs live as truths for us, form who we are, and guide our actions. But as you can see, they are not always true. They are just true for us. If you are stuck or unhappy with something in your life or business, take a moment to consider the beliefs that lie underneath that unhappiness. Chances are, those beliefs are forming your thinking and are the reason for being stuck or unhappy. Thus, to change your situation in life, you must change your beliefs. If you don’t change your beliefs, your life will be like this forever. Is that good news? The first step to changing a belief is to become aware of it. If you don’t know what your beliefs are, then chances are they are running you like a robot. You have no choice in life and simply carry on like a machine. But once you can see your beliefs, you can be at choice about them. You can decide which ones serve you and which ones do not. And in that moment, your life becomes yours to change. To further understand the social impacts this particular perspective of the world might have, watch the fun clip below of one of my favorite TV shows, The West Wing. As a writer, I always admired the dialogue of this Emmy winning show.